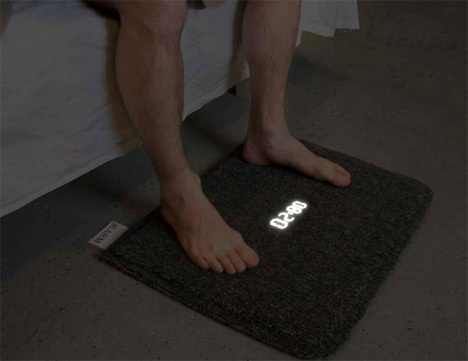 nice idea, an alarm clock in a mat. to turn it off simply stand on it. or drop something very heavy on it like the bedside table maybe? saves you getting up then!